Here are the Arrow Video April 2018 Blu-ray releases which have recently been announced. Not too many individual titles this time but there is a boxset containing five film with Seijun Suzuki: The Early Years Vol. 2 Border Crossings: The Crime and Action Movies which is due out on 16th April 2018 in the UK and a day later in the US. Dario Argento’s giallo Deep Red (1975) is released in the US on the 10th April and finally Blade Of The Immortal (2017) a samurai film releases in the UK on 2nd April. 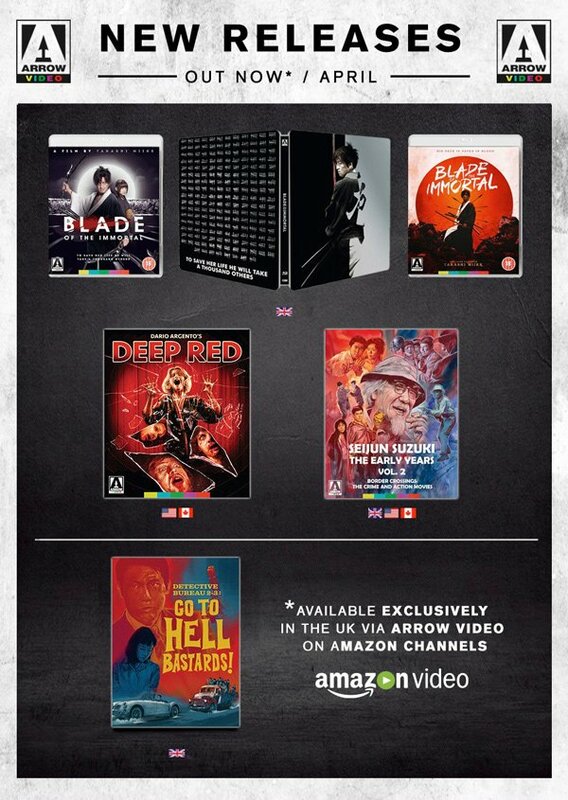 That concludes our look at the upcoming Arrow Video April 2018 Blu-ray Releases check back each month for more new title news.